Eating a balanced diet is a fundamental part of healthy living. It is not a 'diet' where foods are banned and you’re left feeling hungry. The good thing is that every food can be part of a healthy balanced diet. What is important is when much and how often. The Eatwell plate can help you get the balance right by showing just how much you should eat from each food group. Learn more about the Eatwell plate on the Food Standards Agency website. You will find five food groups on the Eatwell plate above. The 'slices' around the plate show how much of an entire day’s food (all meals and snacks) may come from these food groups. 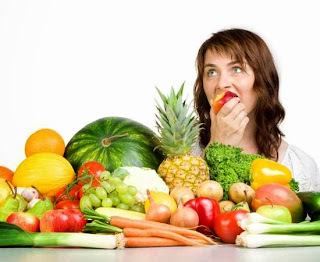 Eat lots of fruit and vegetables- try to eat at least 5 portions each day. Base your meals around bread, rice, potatoes, pasta or any other starchy foods- choose wholegrain varieties when you are able. Include some meat, fish, eggs and beans as protein sources. Keep your daily intake of foods and drinks which are high in fat and/or sugar low. These foods are the smallest slice from the Eatwell plate.